Legendary album includes the hits "Creep" and "Plush"
The debut album of Stone Temple Pilots (1992) built a heavy foundation for the subsequent career of this post-grunge rock band. The hits "Creep" and "Plush" made heavy rotations on MTV, and pulled attention toward the album-making qualities of these San Diego based soon-to-be superstars. 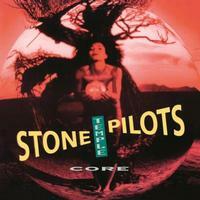 Instead of purely focusing on grunge's punk esthetic, Stone Temple Pilots excelled with coherent, quality songwriting. guitarist Dean DeLeo's inventive and distinctive guitar playing made him a true guitar hero to many junior axe slingers of the day. Scott Weiland's adventurous personality (ultimately resulting in years of forced rehab programs) shows in his strong and melodic rock growl. Core ultimately reached third place on the Billboard 200, and "Plush" won a Grammy for Best Hard Rock Performance. The original LP contained all 12 songs on two sides; for best audio Music On Vinyl decided to give Core a double LP treatment, the fouth side containing a beautiful etch of the album's cover art.